Ensures photographic quality on stiff and elastic medias. Fitted with the largest in market table with 2,5 m x 3m work surface. Usage: Interior decoration, outdoor and advertising marking. 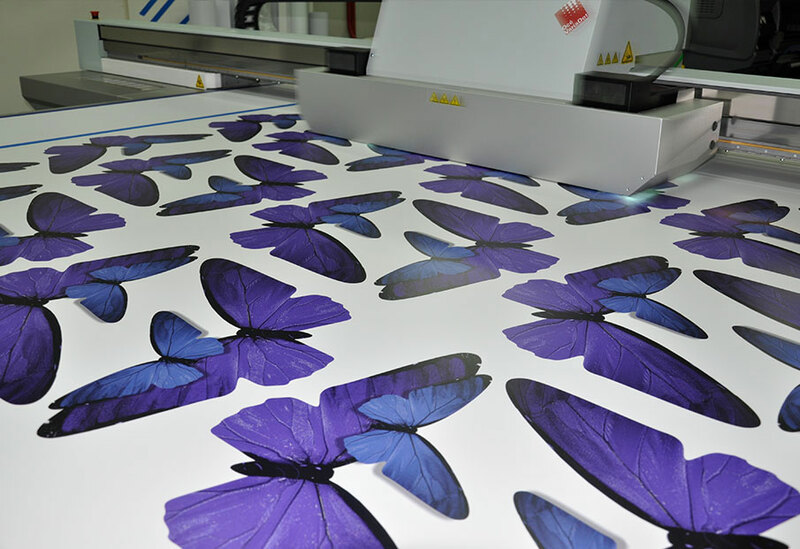 UVGel ink allows very fast printing in attractive colours and different surfaces. Extraordinary quality in case of room graphics, great durability in outdoor usage. Quick hardening and immediate ability to finish and present. 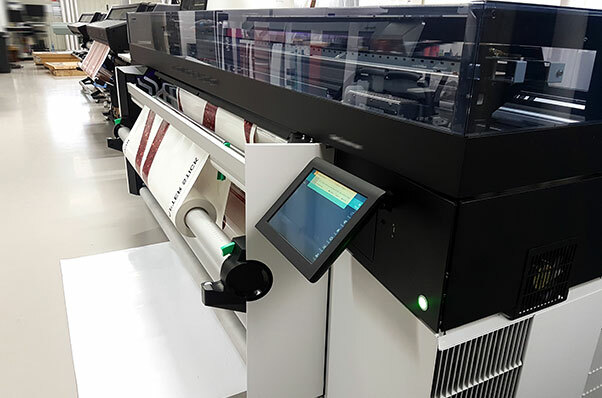 Latex printing are recognizable due to precision, photographic quality, perfect resolutions and colour intensity. Odourless, eco-friendly. 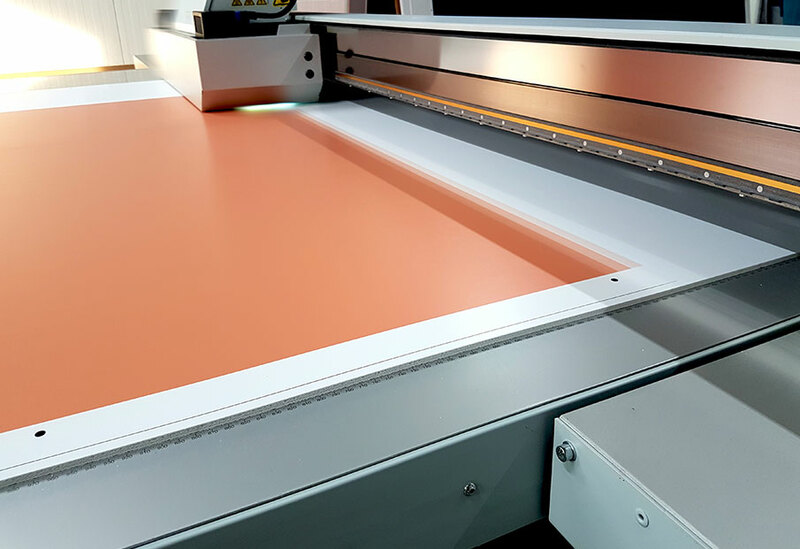 Usage: Wallpapers, adhesive foils, tensioning fabric systems, high quality paper, floor mattings, furniture veneers, microfiber printing, fabric for roller blinds, screens, lampshades. 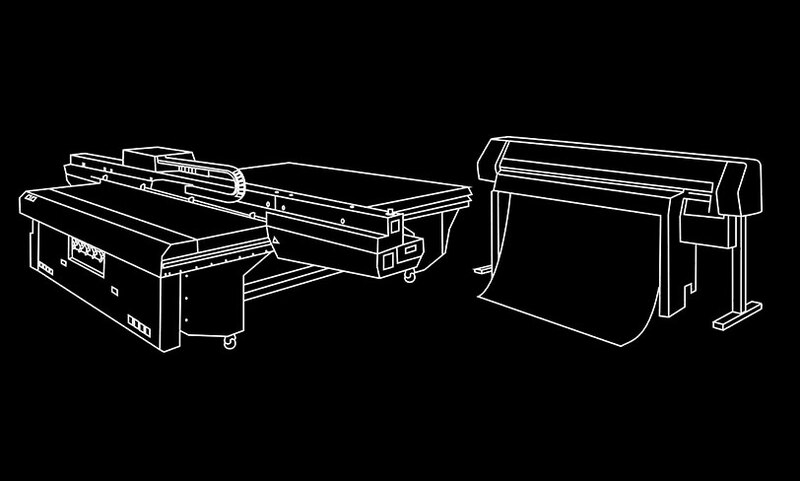 Precise printing with printing space width up to 1,6m and 1440 dpi resolution. 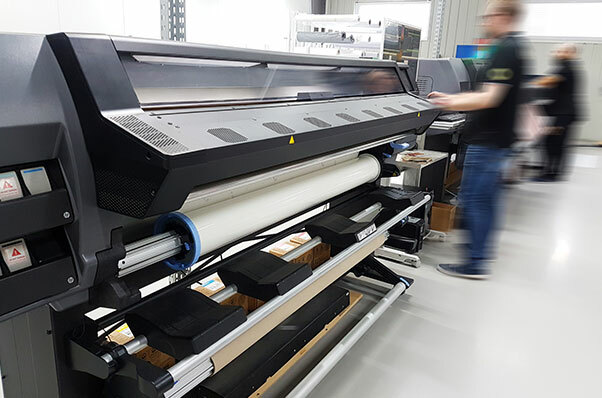 Solvent printing in given resolution can be used on all kinds of surfaces with PVC content, especially for non-adhesive surfaces for water ink. This method is very popular due to the high quality of print and relatively low price. Usage: Large format banners and mesh nets. 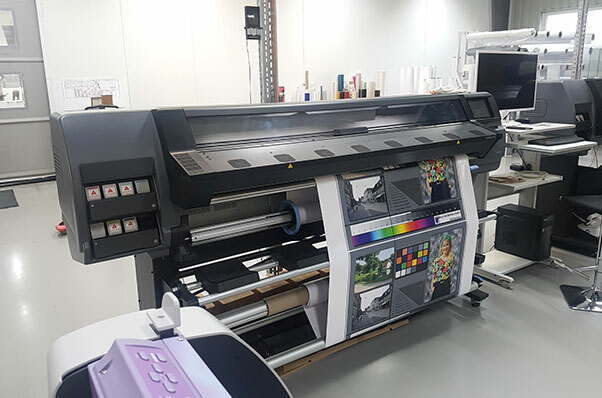 See a list of frequently asked questions and answers about large format printing.